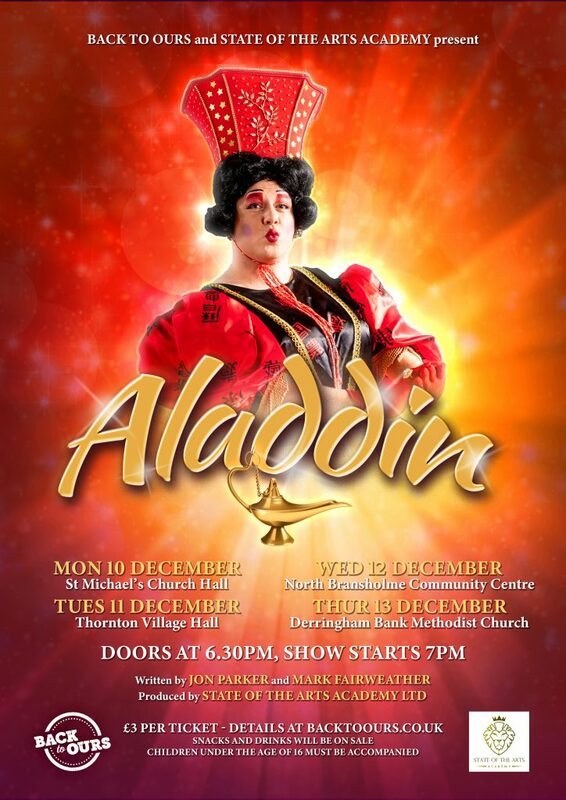 There’s nothing like a pantomime to get people in the festive spirit, so Back to Ours have teamed up with State of the Arts Academy to bring Aladdin to people’s doorsteps and give communities a festive treat. 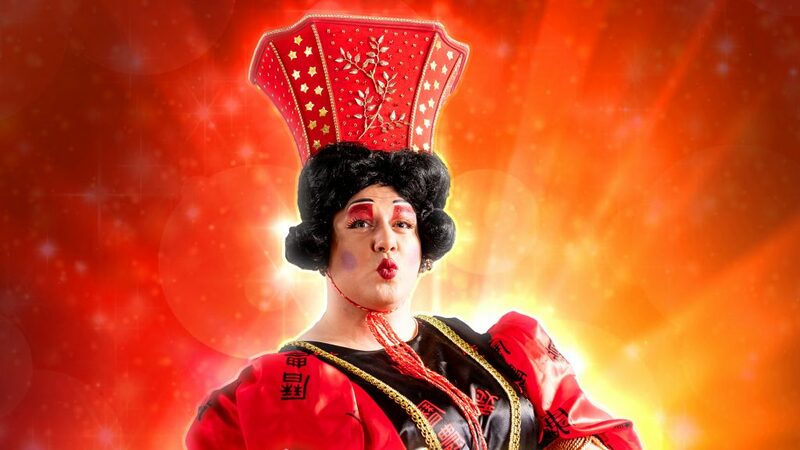 Written by Jon Parker and Mark Fairweather, and produced by State of the Arts, Aladdin features every ingredient for the perfect evening – a fabulous cast, music, laugh-out-loud comedy, beautiful costumes, and LOADS of boos and hisses. Appearing at four venues across the city – St Michael’s Church, Thornton Village Hall, North Bransholme Community Centre and Derringham Bank Church – tickets are now down to the last few after huge interest. ‘We work closely with communities all year, so we really wanted to bring Aladdin to these amazing community spaces as a thank you for their continued input and support. ‘You all know the Back to Ours ethos – we’re all about putting great events in venues in the hearts of communities with a lot of sparkle and a big dose of the unexpected. All tickets are £3 each, and you’ll also get a free Mr Moo’s ice cream at the venue – for details on how to buy them, go to backtoours.co.uk or follow them on Facebook, twitter and Instagram @BTOHull. Be the first to comment on "One love story, one magic lamp, one HUGE adventure"